Throughout the 1970s and early 1980s, top recording stars famously holed up at “destination studios” outside of the usual Los Angeles or New York circles in order to find greater inspiration and fewer distractions. Many of the biggest names headed for Caribou Ranch, the legendary recording complex near the Boulder County foothills hamlet of Nederland, Colorado. Before it gained fame as a major studio, Caribou, in its idyllic setting nearly 9,000 feet up in the Rocky Mountains, was the largest privately owned Arabian stud farm in the country. The 3,000-plus-acre site also served as a dude ranch and a motion picture set. Caribou’s studio incarnation was the vision of James William Guercio, who had gotten his start producing a string of hits for the Buckinghams circa 1967. He became a staff producer for Columbia Records and began working with Blood, Sweat & Tears and Chicago. In New York and Los Angeles, confining union rules about what he could and couldn’t do behind the mixing desk frustrated him. After producing five albums with Chicago, Guercio had enough money to buy the ranch property for a reported $1 million in 1971. Producer Bill Szymczyk and Joe Walsh were the first to use the facility, both having just moved to Colorado. Guercio gave his studio designer a mandate to make the big barn at Caribou the world’s best recording facility. He then transformed the place into an opulent retreat for pop music’s aristocracy while developing an exclusive image for himself. With smashes like Walsh’s “Rocky Mountain Way” hitting radio, the ranch at 9,000 feet became an attractive option for creating music. “We didn’t run the place like a Holiday Inn,” Guercio noted. The life-in-the-fast-lane ambience that usually accompanied a recording session disappeared into thin air at Caribou. During the ranch’s glory days, an entourage got full use of the facilities for a basic rate of $16,000 a week. 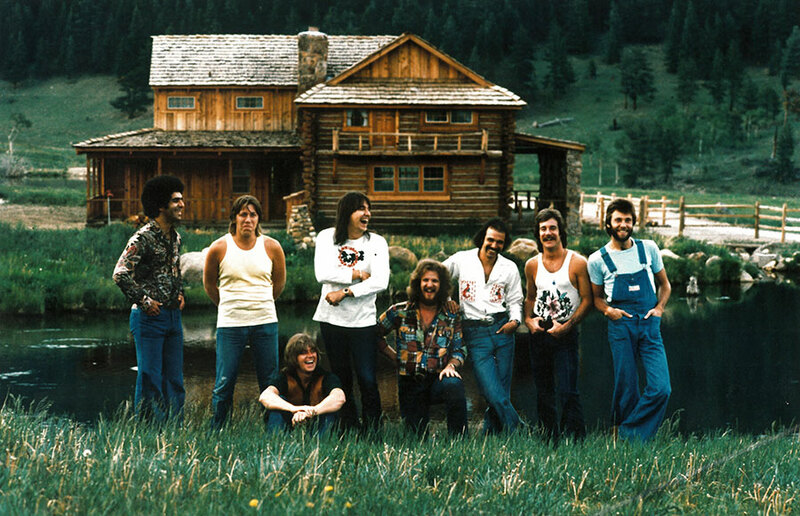 Record companies were only too willing to shell out the money during their boom years, and a veritable who’s who of rock music’s elite passed through Caribou Ranch’s gates, including such legends as Dan Fogelberg, Joe Walsh, Chicago, the Beach Boys, the Nitty Gritty Dirt Band, the Souther-Hillman-Furay Band, Jeff Beck, Rick Derringer, Earth, Wind & Fire, Billy Joel, Michael Murphey, America, Rod Stewart, Stephen Stills, War, Frank Zappa, Eddie Rabbitt, Sheena Easton, Michael Jackson and more. The studio was the main lure, but the lodging was equally seductive. The cabins, which slept up to 36 people, featured brass beds, lace curtains, leather-upholstered furniture, huge rock fireplaces, hardwood floors, dark cedar walls and massive stereo systems. Steinway baby grand pianos lurked in the corners of several cabins. To while away the off-hours, there was a comprehensive library of movies and games, an antique pool table, horseback riding and ski-mobiling. But the favorite pastime had to be eating. A staff of friendly cooks remained on call 24 hours a day to prepare any snack or meal that came to mind. And every evening brought a sit-down dinner with candlelight and wine. Comfortably insolated from the usual rock ‘n’ roll circus, artists didn’t have to send for food, commute to and from a hotel, or even worry about the laundry. 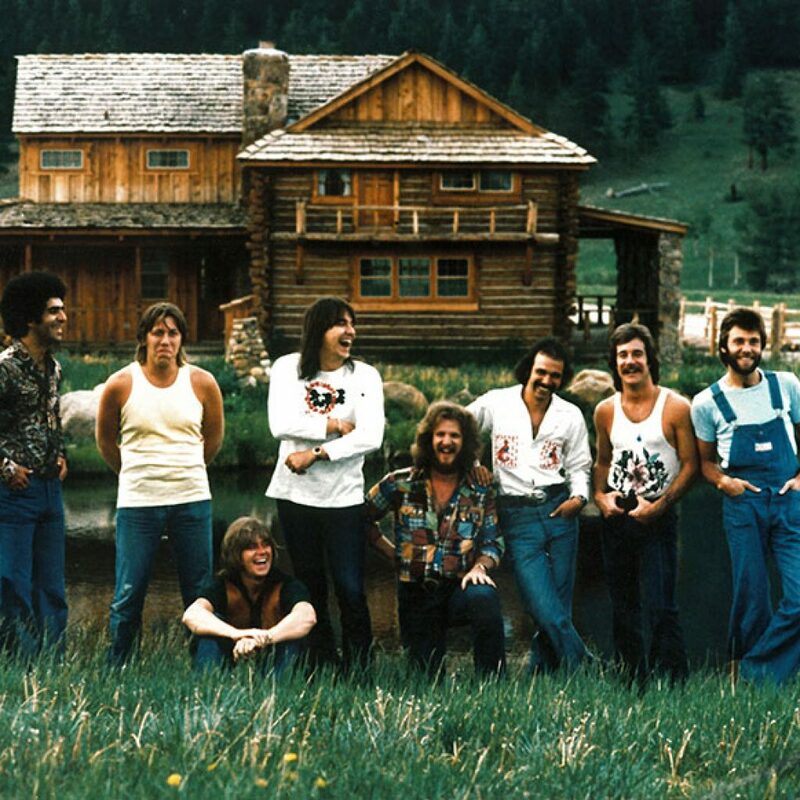 In 1973, the year Caribou Ranch opened, Chicago filmed a network television special there, Chicago: High In The Rockies. A second TV special, Meanwhile, Back at The Ranch, aired in 1974. Each of John’s first eight studio albums had been made in Europe. The flamboyant star, always on the go, was in the middle of another of his traumatic periods because of the rigors of his commitments. Although many of his early albums were recorded quickly, the making of Caribou was particularly stressful, squeezed into the smallest time frame yet. John recorded several other classic albums at Caribou Ranch, including Captain Fantastic and the Brown Dirt Cowboy and Rock of the Westies, which reached the No. 1 spot on the charts its first week out. Lyricist Bernie Taupin, the celebrated collaborator who put the words in John’s mouth for three decades, said, “Some of my favorite work that we ever created was done at Caribou. Captain Fantastic is one of our finest records, and probably the most underestimated of our career. Oddly enough, it wasn’t a particularly good point in my life. We were pretty wacked out in those days. I don’t know where there was more ‘snow,’ in the mountains or in the cabins! John suggested John Lennon stop in Colorado on his way back from a trip to California. The “Lucy in the Sky with Diamonds” session took place at Caribou in July 1974, with Lennon billed as “Dr. Winston O’Boogie.” John’s smash “Philadelphia Freedom” took only five weeks to become his fourth No. 1 single. Stories abound from the studio’s heyday. Supertramp’s crew dragged a grand piano up behind Caribou on a snowy mountain top to photograph the album cover of Even in the Quietest Moments... Ultimately, other studios cropped up around the world that offered similarly exotic atmospheres. Caribou stayed busy, but when labels scaled back recording budgets, expensive destination studios fell out of favor. Caribou finally shut down after the control room suffered extensive fire damage in March 1985.